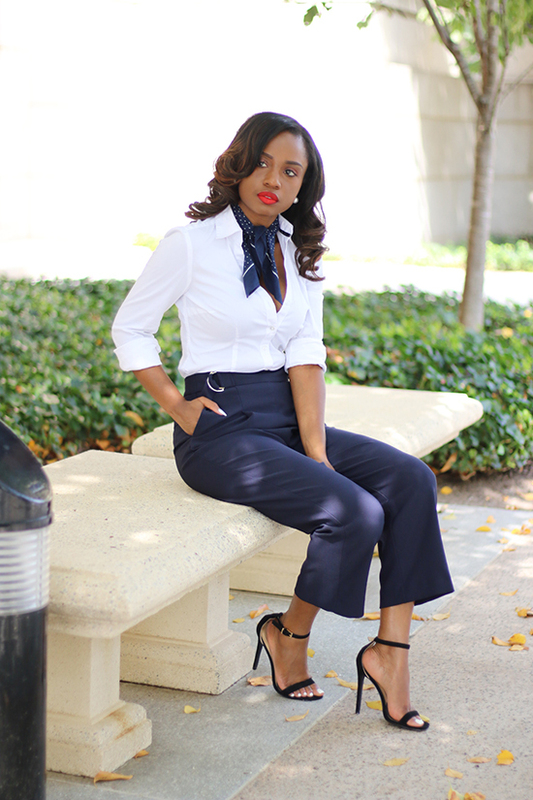 Starting off this work week in a simple blue and white look. 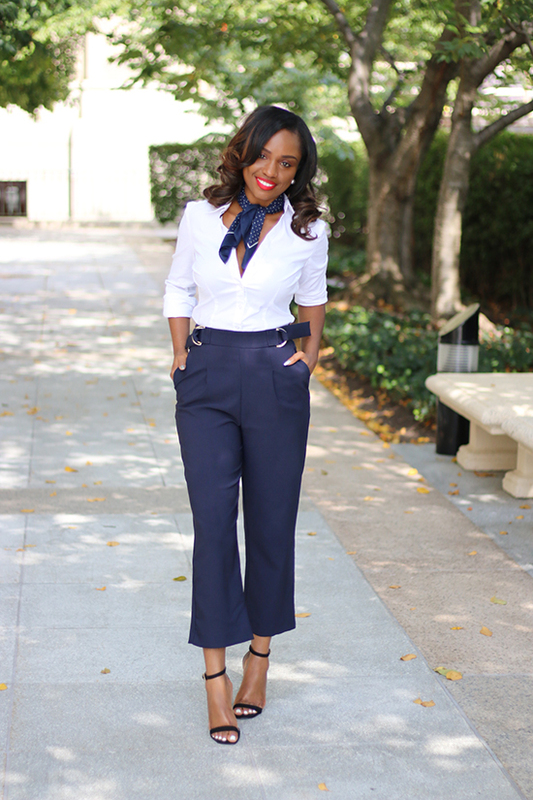 Crisp white shirts are always a good way to look polished. 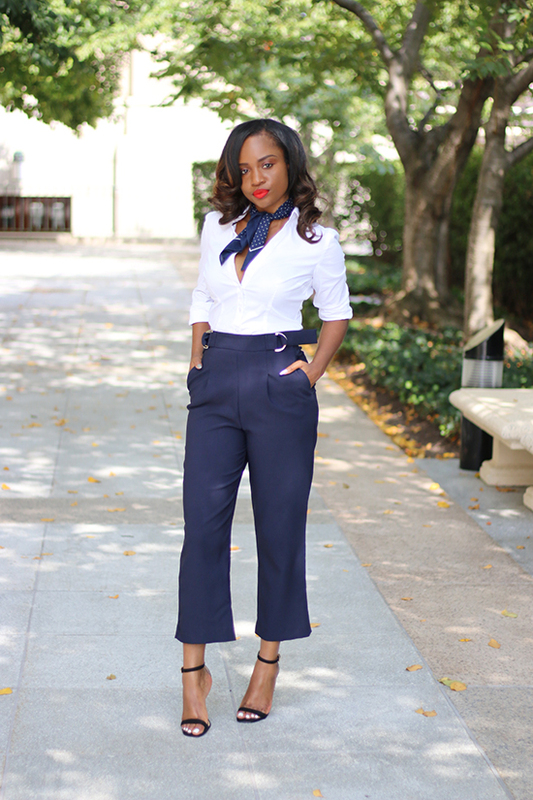 I paired it with blue trousers and completed my look with simple black sandals. 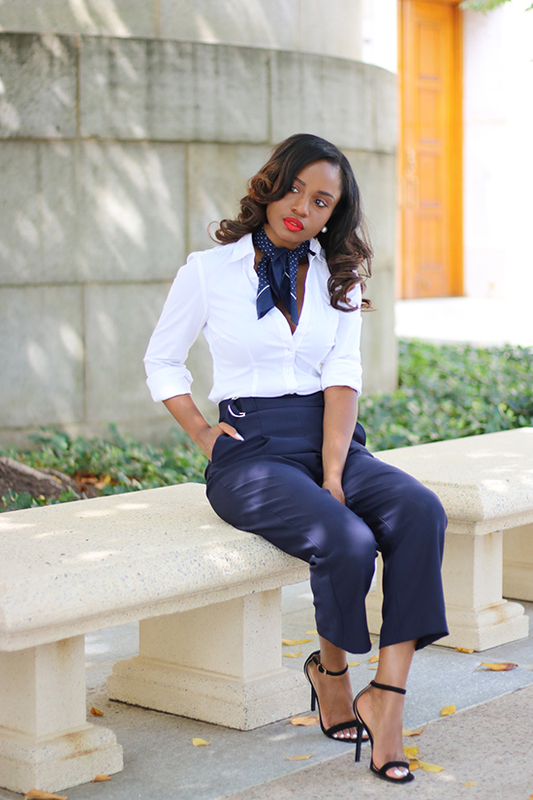 I accessorized with a polka dot scarf for a polished and classic approach. Stylish outfit and am loving the lipstick.